President Elect Donald Trump, among many other disparaging jibes, has been branded with the populist tag, a word that has assumed slanderous connotations through association with this man. By pinning this label upon a candidate, the media suggests that said populist appeals only to the under-educated rabble, as if the masses of working class Americans are incapable of making decisions, and require the assistance of an enlightened elite to keep them from hurting themselves. But is there substance behind the slander? An unexpected grass roots movement in all the right places snuck Donald Trump into the White House through the electoral college back door. SinceTrump is the ultimate x-factor President-elect in American history, there is no way to accurately predict what is going to take place after inauguration day. I did not vote for him, but if he annuls free trade agreements and helps bring manufacturing jobs back to America, as promised, I am willing to give credit where credit is due. If, on the other hand, his presidency results in violent attacks and economic upheaval for certain classes of immigrants, fueled by his xenophobic, jingoistic rhetoric, then let this serve as my smug disclaimer against culpability. The reason why I am writing this is that the Trump victory hearkens me back to another time in American History, when in 1828 a hugely popular "celebrity" candidate was swept into office by playing on fears of cultural annihilation or assimilation. In that election, the exclusively white electorate was vehemently opposed to sharing land with Native Americans, and felt the necessity to move these people to a place far enough away that their European Christian sensibilities would not be troubled by ugly brown blots upon the landscape. As a result, the Cherokee, Chickasaw, Choctaw, and other nations were earmarked for relocation west of the Mississippi. Not surprisingly, those tribes were also sitting on prime cotton cultivation country. The man responsible for this massive forced relocation was Andrew Jackson, sometimes known as Old Hickory. 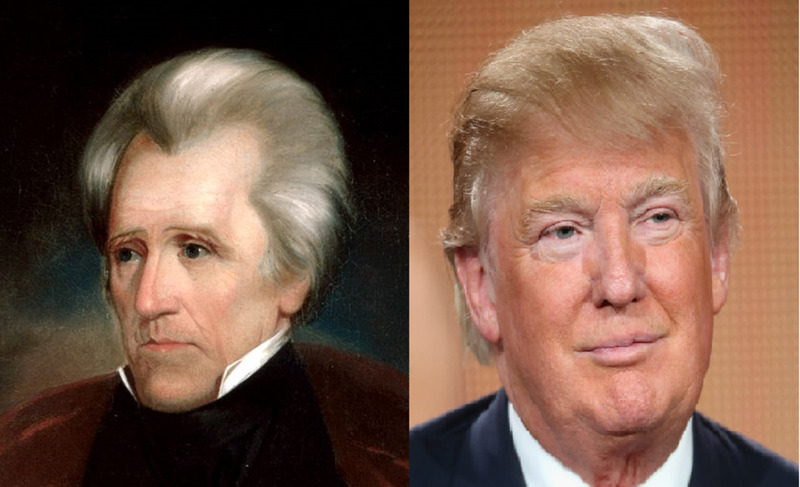 I see parallels between Donald Trump and Andrew Jackson, and I will do my best to articulate those here. The similarities are not perfect, the differences are glaring, and the comparison itself may just be a pointless academic exercise. In American and world history in general, populist candidates such as these two have been known to be dangerously honest about their plans, and dangerously stubborn. Because of this, I fear the outcome of the Trump victory may be equally tumultuous for certain groups of people who stand to lose. When analyzing these Populists Presidents side by side, convention requires that we first answer the question of what a populist is. Writing in Introduction to Twenty-first Century Populism, Daniele Albertazzi and Duncan McDonnell define populism as an ideology that "...pits a virtuous and homogeneous people against a set of elites and dangerous 'others' who are together depicted as depriving (or attempting to deprive) the sovereign people of their rights, values, prosperity, identity, and voice." Even these supposedly neutral academics seem to be implying, in this definition, that populist supporters are nothing more than ignorant hucksters, puffed up by an exaggerated sense of self-importance, circling the wagons and tilting ridiculously at the windmills of these so called dangerous others. Whether or not Donald Trump is, or Andrew Jackson was the cure to what ails these virtuous and homogeneous people is another question, but in the light of economic displacement, insurmountable debt, massive income disparity, and the erosion of quality of life in recent decades, can we blame the people for believing that dangerous others do exist, and is it fair to label these populist movements as merely a knee-jerk response to imagined wrongdoings? On the other hand, populist candidates typically engage in fear mongering tactics by placing blame for the woes of their own tribe on racial groups, often immigrants, sometimes citizens, who have a different skin color or a different culture than those of the homogeneous sovereigns. This is where populism can degenerate into a tyrannical, authoritarian system that suppresses free speech, ignores individual rights, and leads to violence against those labeled outsiders. Andrew Jackson's Presidential populist campaign eventually led to the death and displacement of thousands of people that were born within the boundaries of this nation, people whose cultures predated the arrival of Europeans by thousands of years. Will the election of Donald Trump signal a similar tragedy on a mass scale for a race already populating the western portion of the continent before Manifest Destiny swelled the boundaries of the United States? It is difficult to conceptualize now, but there was a time when the territory that these contiguous United States occupy was still largely unconquered and untamed. 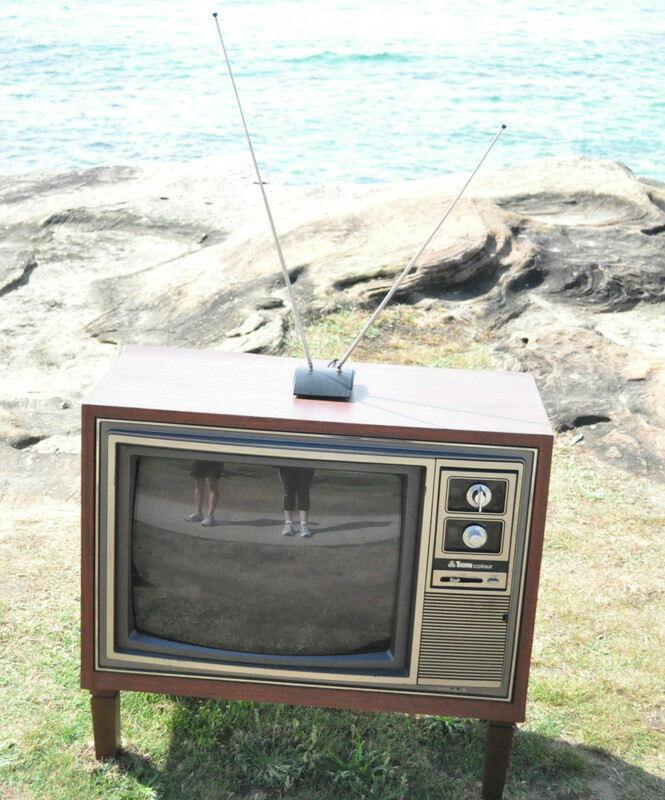 In the present era, when there are no more unexplored frontiers to civilize, no more heathen, barbaric tribes to subdue, potential politicians rise to fame by building glittery high-rise casinos, force feeding their abrasive personalities on the public through reality TV, and making outrageous proclamations via the new frontier of social media. The populist Presidential candidate Andrew Jackson could not avail himself of such niceties. He could not tweet his victory in the battle of New Orleans out to mankind. He could not instantly transmit a nationally televised rant about how difficult and stubborn his Seminole and Creek adversaries were being, via dozens of scoop starved media outlets. Not only was there no TV or telephone, he couldn't even avail himself of the dots and dashes of the telegraph, this communications system not coming into commercial viability until the 1840s. Reporting of events was agonizingly sluggish at that time, and the instant gratification, yesterday's-news attitude that is normal today simply did not exist. News was so slow, in fact, that when Old Hickory's US troops fought the "bloody" British in the town of New Orleans, neither of the belligerents realized that a peace treaty had already been signed. Andrew Jackson came from a farming family of modest means. Like Populist Donald Trump, his forebears were recent immigrants, Jackson's family arriving from Ireland just two years before his birth, Trump's grandfather sneaking in as an illegal immigrant from Kallstadt, Germany. 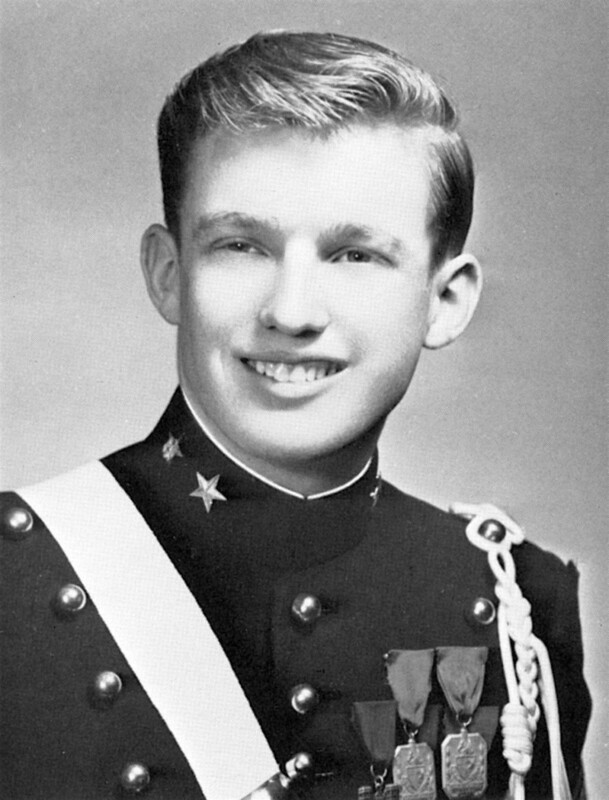 Although Donald Trump attended a military academy, Jackson went beyond the dashing, chick-magnet uniform by actually serving as a soldier from the time he was still a child, beginning with action as a courier in the American Revolution. Even without formal military training, Jackson's career as a soldier was storied and prolific, his fighting being conducted principally against the people he would later evict from their homelands. During the War of 1812, before he fought the bloody British at New Orleans he gave the Creek tribe a beat down which deprived them of land. In 1817 he engaged the Seminoles in Florida, then belonging to Spain, an invasion deep into the swamps that pressured Spain to cede the peninsula to the United States. Both of these actions against the civilized tribes of the Southeast made enormous tracks of prime agricultural land, a commodity that Andrew Jackson speculated in, available to white settlers. Will Donald Trump also exploit his presidency to turn a profit? Has he already? 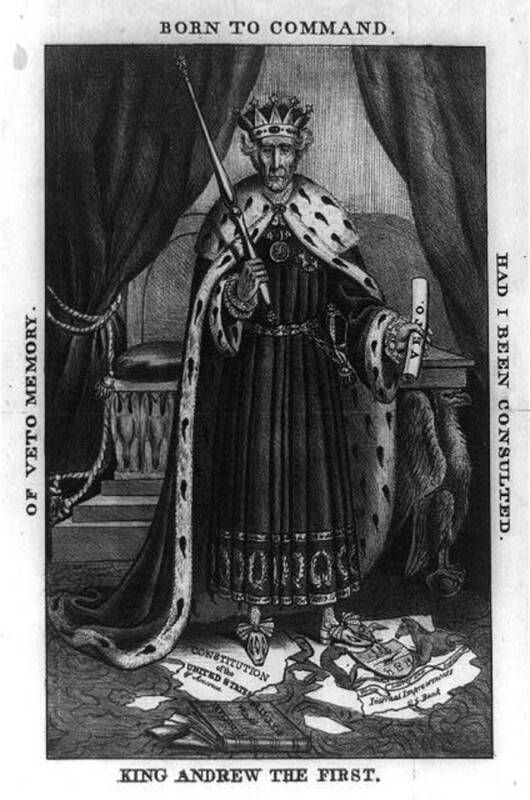 Also in stark contrast to Donald Trump, who certainly has a long history of running his mouth but had never seriously run for any office, Andrew Jackson entered politics early. When he was 30 he served as Congressman from Tennessee, and later as Senator. Call it an exaggerated view of masculinity, call it devotion to higher ideals, but in that era, unlike now, it was not uncommon for politicians to accompany troops into battle. Rather than staying home and denigrating the service of those who risk their lives, as we witnessed when Trump recently ridiculed John McCain for being taken prisoner by the North Vietnamese, at least Jackson the politician joined his men at the front of the wars he stirred up. Even so, when Jackson later ran for President, his experience in public office was considered too scanty and limited for Chief Executive. He was widely criticized for his undistinguished record as a Congressman, and even for his poor command of written English. 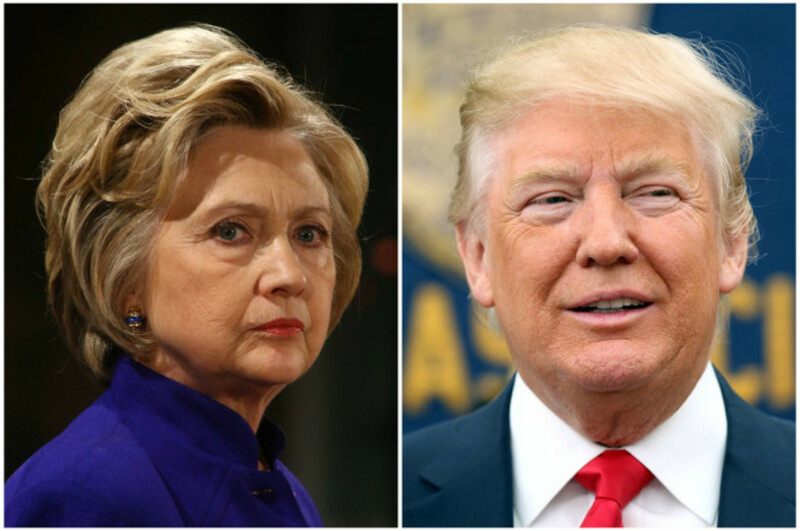 In the 2016 campaign, Hillary Clinton's advocates likewise contrasted her tenure in the highest halls of power with the lack of experience of her opponent, Donald Trump. It is only when examining Andrew Jackson's Presidential campaign and subsequent deeds in office that disturbing parallels between these two Presidents, almost two hundred years apart, begin to be noted. In 1824, the popular war hero Jackson failed to gain the White House in spite of winning the greatest percentage of the popular vote and the highest electoral count, though not a majority. Per the constitution, the selection of President went to the House of Representatives, where it was awarded to John Quincy Adams. This "corrupt bargain" backdoor victory for Adams could be seen as a precursor to what Donald Trump vociferously whined about prior to the 2016 election, that the instruments of government would be organized against him to secure the election for Hillary Clinton, that the "political insiders" would be manipulated into power in opposition to the voice of the people. As it turned out, there was no corrupt bargain victory for Hillary, but a repeat of '24 was widely feared by the Trumpsters. Much as Donald Trump was considered more of a circus sideshow than a legitimate candidate in the early stages of the 2016 campaign, Henry Clay and other giants among early 19th century statesmen did not take Andrew Jackson seriously. He was considered quick tempered, his very Trump-like sensitivity to insult even leading him to fight duels over his offended honor. As has been similarly noted with Trump, Jackson's hot-headed temperament was thought unfit for the Presidency. Fortunately for mankind, there was no nuclear button at that time for him to get his easily offended fingers onto. After being denied the Presidency in 1824 by what he considered corrupt methods, Jackson launched his 1828 campaign as a crusade to clean out corruption and restore "purity and economy" to government, his version of draining the swamp, as Trump is fond of quoting. 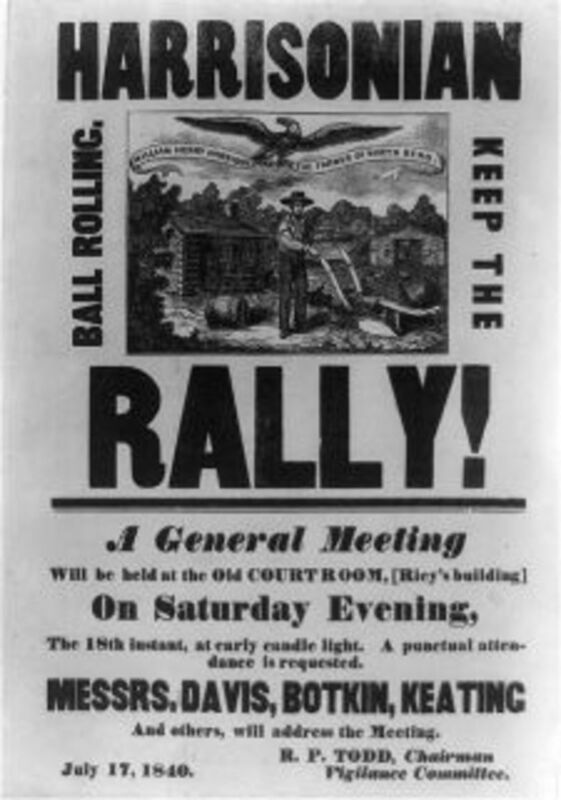 Jackson's opponents had no choice but to attempt sully the reputation of the wildly popular candidate by attacks on his personal character. Nobody accused him of being a misogynistic "p-grabber," but the questionable virtue of his divorcee wife Rachel was thrown before a largely Puritan-minded public. Perhaps the most disturbing parallel with Donald Trump, however, was Jackson's support for the Indian Removal Act, the intention of which was to move the "civilized tribes" of the Cherokee, Chickasaw, Choctaw, Muscogee Creeks, and Seminoles to reservations west of the Mississippi. Land-hungry white men viewed Native American competition as an obstacle to prosperity and improved status in the social order. The Mississippi River was the "wall" that would buffer the white race from competition over land with Native Americans. In an era when agriculture was the primary means of livelihood, land was the way to make a living. Trump promises jobs through the elimination of Latin American competition, Jackson promised land via the removal of the Native Americans. The mud puddle of the trickling Rio Grande not being a sufficient barrier to protect American culture and material prosperity from Mexican and Central American immigrants, Trump cannot merely sweep these vilified competitors across a river, as Jackson did. Instead, he has proposed building an actual physical barrier across the entirety of the United State's southern border. Unfortunately, populism seems to require a scapegoat for the economic misery its supporters find themselves mired in. Therefore, Donald Trump has pulled a page from the Jackson playbook and has demonized the inhabitants of nations to our immediate south. True to his campaign promises, Andrew Jackson pushed his Indian Removal Act easily through Congress. This law authorized the President to negotiate with Southern tribes for their removal west of the Mississippi. It also vindicated state laws that promoted and legalized this removal. In Worcester v. Georgia, the Supreme Court under Chief Justice John Marshall shot down the portion of the Act that allowed the separate states to deal with the tribes individually, but President Jackson refused to comply with this legal ruling of the higher court, and the forced migration of the Southern Tribes was implemented apace. The result was the Trail of Tears, the brutal process through which thousands of members of the Cherokee, Muscogee, Seminole, Chickasaw, and Choctaw nations, as much as one third of their populations, died of starvation, exposure, disease and outright murder on a death march across the Midwest to Indian Territory in the present state of Oklahoma. Will Donald Trump keep his campaign promise? Do you think he can? As witnessed in the large scale genocide brought about by Andrew Jackson's Indian Removal Act and the resulting Trail of Tears, populists have a disturbing tendency to keep their campaign promises. 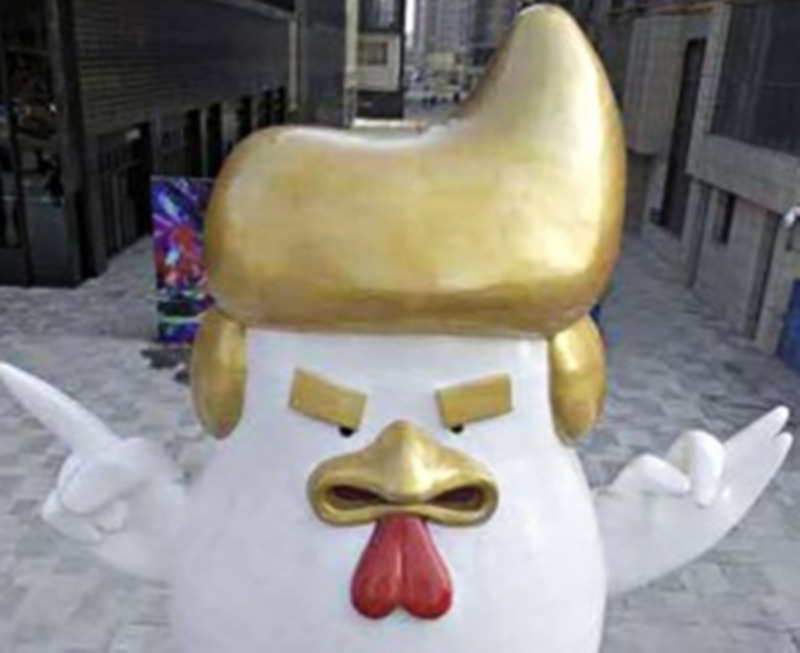 Current scoffers laugh at Trump's proposals to build a wall across the southern border and to deport millions of immigrants as ideas that are untenable, prohibitively expensive, pipe-dream castles in the sky. 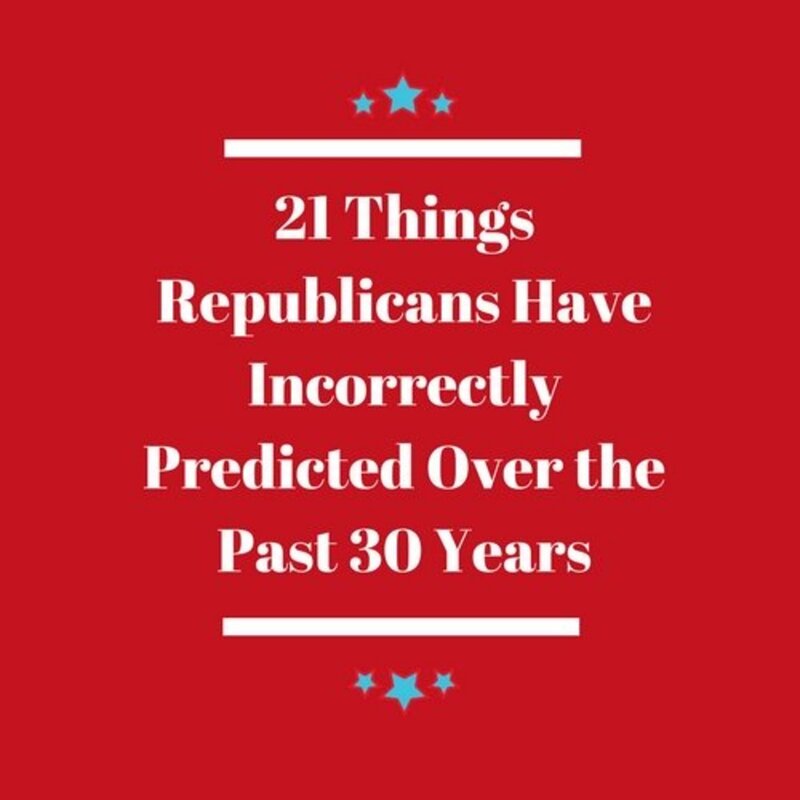 Because these are the same naysayers who said that Trump would never be the Republican candidate, then would never be President, the accuracy of their prophecies and predictions is somewhat questionable. If history has taught us one thing about populists, it is that we must believe their bombastic proclamations, or suffer the consequences for acting too late. At the risk of invoking Godwin's law, the maxim stating that if an online discussion goes on long enough sooner or later a comparison with Hitler will be made, I will now nonetheless draw a disquieting parallel with the Nazi Fuhrer, another populist who rose to power by blaming racial groups for his nation's woes. In 1925,years before he took power, Adolf Hitler published Mein Kampf, a book in which he described precisely what his plans were for Europe and how he would go about purifying the German race. In Mein Kampf the future Fuhrer advocated the extermination of the Jews and the concept of Lebensraum, whereby the German nation would gain room for its expanding population at the expense of Russia and its vassal nations to the east. Adolf Hitler was also scoffed at in the beginning of his political career. Like Trump and Jackson, he was considered an uncouth outsider who appealed only to the basest, most uneducated elements in society. European heads of state did not take him seriously when he launched upon his campaign to dominate the continent, even though Mein Kampf had been there for them to read and draw conclusions from for several years. In spite of brazenly outlining his alarming plans right there in print, politicians believed he could be appeased, that he would be happy with retaking the Rhineland, that he would be content with the Sudentenland, that Austria would satiate his territorial ambitions. For the failure of European leaders to take Hitler seriously, the most devastating conflict in world history resulted. In light of these parallels with past populists, should we expect Donald Trump to do anything other than what he says? Will the human misery of a Trump Trail of Tears of back to Mexico then affect our collective conscience, especially if it includes the children of immigrants who have never lived anywhere else but America? On a purely practical level, will we be willing to pay higher prices at the grocery store, hotels, and restaurants when the cheap labor and high productivity of undocumented workers is replaced by surly, pricey, unmotivated, sun-sensitive teenagers who have never lifted a shovel, scrubbed a pot, picked a tomato, or cleaned a toilet in their hitherto pampered lives? There will be economic consequences to such a human upheaval, so we, the American people, better tighten our belts and get ready to deal with them. 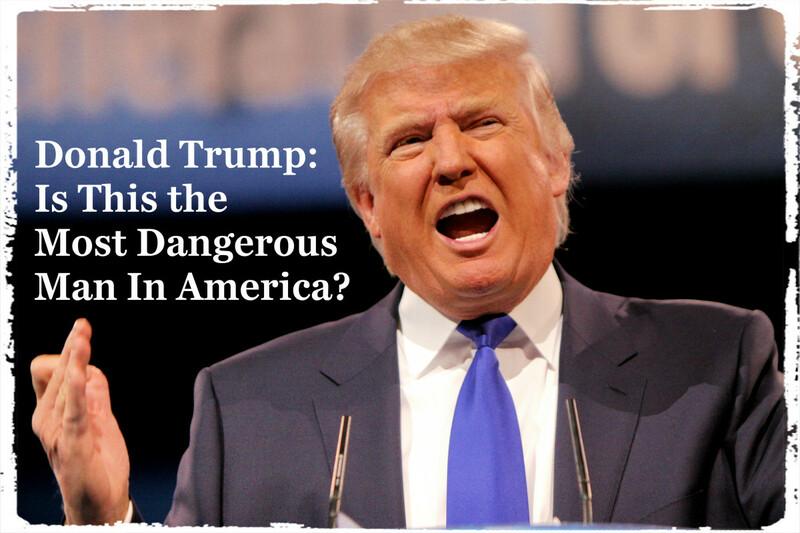 Am I saying that Trump is a dangerous tyrant on par with Adolf Hitler - probably not. Am I saying that he intends to lead us into global conflict to restore America's damaged pride and prestige - I don't know. 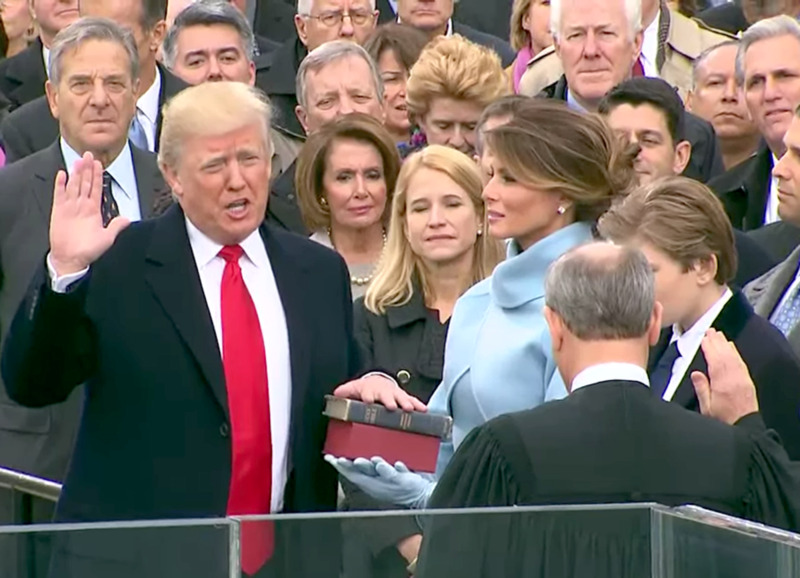 What I am saying is that without the backing of the political elite to manipulate the levers of the machine that pick Presidents, Donald Trump depends solely on the support of the people to secure his reelection in 2020. Therefore, he will have to fulfill his political promises. If he says he will build a wall on the Mexican border - get ready. If he says he will deport millions of undocumented workers - get ready. Will Donald Trump pursue his agenda at all costs? Like Andrew Jackson, will he go so far as to defy the Constitution of the United States? All of these considerations are as yet unknown variables in an equation that threatens a momentous cataclysm for the inhabitants of this continent. I cannot pretend to prognosticate what will happen in the next four years, all I am saying is that when populists speak, history says we better listen. Thank you Larry. I am making an effort to try to write for publication. Print or bust. Too few free hours in the day when I'm going postal 10 hours a day and working airport security my off time. The latter gig allows me some latitude to scribble on my phone, but sometimes I have to go home and snooze too. I hope you are doing well. Thanks for the nice words. Understand being busy. I got 2 little ones to look after. Still, makes me sad I don't hear from you more often these days. I wish you the best in your endeavors. Take care. Hey Shyron. I have been out of the HP loop and I don't know if I can wriggle my way back in because of too many irons in the fire. My Great Grandfather was a half Cherokee Indian, so at some point some of his people were in the trail of tears, I imagine. Thanks for your sweet comment. Sorry I am so late to respond. Mel, this is a unique and interesting hub. It is also a reminder that my Great, Great Grandmother was in the march call "The Trail of Tears"
That's exactly how I felt about the whole thing. I was Bernie or Bust all the way. I was a Bernie man myself Nate, and I think Bernie would have beaten Trump, because he would have taken the rust belt easily, I think. I was outraged at Hillary because here in California the DNC threw all the Bernie ballots away. My sons were excited about voting for the first time. Both were registered, but both were given provisional ballots. My oldest son was in on the shell game and demanded a real ballot. My youngest one didn't know better, he took it, and it was probably thrown away, along with probably millions of others. Hillary sickened me and I'm glad she lost, but I'm not exactly overjoyed with Trump. Yeah, my feeling toward Hillary is similar to those in the rust belt; she doesn't speak to me at all and she is clearly arrogant and privileged; and she, like her husband, is basically a paid off Conservative who masquerades as a Progressive by harping on dinosaur identity politics issues; in fact, her husband was responsible for mass incarceration, deregulation and, as I mentioned, a trade agreement that shipped jobs overseas and favored corporations. Hillary is in the pocket of Wall St. In fact, I refused to vote for her and wrote Bernie in, though it didn't matter either way because she was going to win California anyway. Leaked emails showed that the mainstream media and the DNC cheated, essentially, to get her the nomination - and they know they shot themselves in the foot, because the Donald ended up getting elected. I laughed hard when Wolf Blitzer, one of the worst of the mainstream media henchmen during the primary, interviewed Bernie after the General Election and he looked like he wanted to admit to Bernie that he and his colleagues really messed this one up; in fact, he kept asking Bernie if he thought he would have won, and Bernie had too much class to rub his nose in it. Yeah Nate Hillary won the popular vote, but she rather arrogantly ignored the rules of our election system by thumbing her nose at key battleground states under the delusion that we were just "Ready" for her. She went through the coal-fired rust belt preaching clean energy to people who already can't put food on the table. Meanwhile, Donald Trump was in my Dad's hometown of Johnstown Pennsylvania talking about how he was going to bring jobs back. Yeah, she swept California, which probably accounted for her popular vote margin, but outside the happy sunny bubble of the Golden State her message did not resonate, and God help us. Thanks again. Thanks Linda. I'm sure you good people north of the border would like to live in a Yankee-proof bubble sometimes, and I'm sure the US sometimes feels like a painful corn on the Canadian foot. Therefore, it's probably a good idea to study our often sketchy politics to remind yourselves what not to do. I'm really grateful for your visit. Thanks for being a great friend in 2016 and I wish you continued success in the New Year. I find it fascinating that some people are saying, "Oh, I knew he'd win", when in fact he didn't by any means get a majority of the voters; the fact is, almost half of eligible voters didn't vote because they were demoralized by the DNC cheating for Hillary in the primaries. A person who just knew Trump would win would have to be psychic and know that most people wouldn't vote, because if they had voted he couldn't have won; most people don't agree with his policy proposals, except for maybe his opposition to the disastrous neoliberal Clinton trade agreements. This is an excellent article that is very educational for me, Mel. Until recently I knew very little about U.S. politics, but the current situation has persuaded me to study the subject. The future should be interesting, to say the least. I hope it's not scary as well. Mills, the Trump brown shirts are already out in force, so I can only imagine what will happen on January 20th. Have we gone too far on political correctness, without a doubt, but bullying and violence have no place in our democracy. I appreciate you dropping in. I did not vote for Trump, and I don't think that he is going to deliver on the promise to build a wall, halt Muslim integration, or drain the swamp in general. Other political commentators have suggested Trump will be a wild card, even with the Republicans who first denounced, then supported, him. He is a rich, privileged, out of touch billionaire who won't even listen to people who make their living keeping leadership apprised of matters that should concern him. The real worry I see is from Americans who summarily dismiss others as people who must have voted for Trump. There have already been two incidents in Chicago involving people who have harmed others due to the violators' lack of support for Trump. As much as most of us denounce the actions of these attackers, I am sure others believe these people are absolutely justified in their hatred. Unless Trump learns how to be a true leader, we are in for four long years. 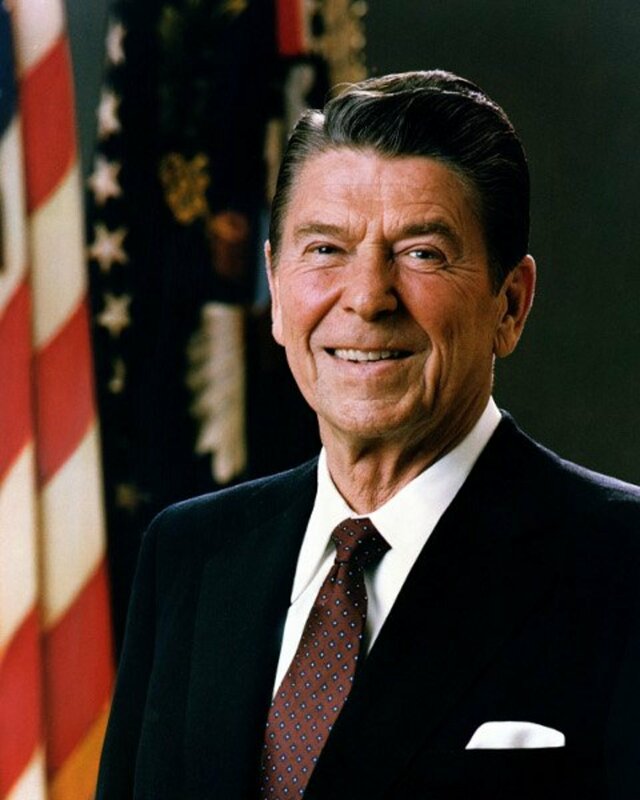 We must never let this man forget that he did not win office by the will of the people, and must remain active in the political process, no matter what Mr. Trump does. Just as Trump does, Populists like to pretend they are the friend of the little guy, Larry. Jackson was a land speculator, and he and his cohorts profited handsomely off the Cherokee lands, as well as the other tribes who rarely get mentioned because the Cherokee have a nifty song. I am sure Trump is going to use his presidency to dig himself out of red ink and keep his gold plated Manhattan penthouse going. Thanks for dropping in, buddy. Andrew Jackson's claim to fame, making The Trail of Tears a reality. Some people know this. Fewer people know that the Supreme Court voted against its legality, a ruling that should've led Jackson's impeachment the second he suggested ignoring their ruling. But he ignored it. But what hardly anyone knows is that the majority of U.S. Citizens were against the Trail of Tears. Everyone just assumes that people were so unenlightened back then that they thought genocide was fine. The only ones that really wanted to steal the Native Lands were wealthy landowners who didn't like seeing Native Americans be prosperous with it. A racist that the majority of society don't support. Jackson and Trump are the same person. Exactly, just the messenger. Technology changes, people don't. Thanks for reading. Andrew Jackson as you noted didn't have social media. The trumpeter lives by it. However, this reminds of the old saying " the more things change the more things stay the same." If looking for scapegoats to blame worked before it'll work now. And it has. This Trump fire is going to burn more of us than just the un-documented immigrants in America. Thank you Meg. No one really understands what this man is capable of, and I have already personally witnessed anti-immigrant verbal attacks that included his name. Here in southern California, I think our economy would grind to a halt if Mexican and Central American immigrants were deported. People have to be careful what they wish for. I appreciate you dropping in. I admire your courage, Dirt Farmer, we need more of that. I really hope people protesting like you can curb the excesses of this man. Very interesting hub, especially as Andrew Jackson came from near where I live. There is certainly not all that information made available about him. I understand that people feel their jobs have gone and want them back but I do not want to see a pre-war Germany situation or a trail of tears. All we can do now is wait and see. I know you're joking with the "be careful," but I think the idea that those who disagree with him are enemies (see his loopy New Year's tweet among other examples) -- and his idea that "enemies" must be paid back (his infamous "list") does of course give people pause. If enough of us speak up, however, perhaps another Trail of Tears won't occur. I hope Americans are independent enough to break unjust laws. That's part of our history too and, I think, representative of the best of our character. Be careful Dirt Farmer. The Donald seems sensitive to criticism and is already trying to suppress people who don't agree with him. He has made Paul Ryan his dancing bear - harkens back to Stalin and his lap dog Nikita. I was frankly glad Hillary lost, but boy are we in hangover mode now, and still two weeks before he officially becomes President. Thanks for reading. It's difficult for me to talk about DT without lapsing into profanity, which I know HP frowns upon. Anyway . . I enjoyed your hub and intend to do what I can as a private citizen to ensure that he doesn't keep the crazy-creepy promises he made, particularly those that adversely impact the most vulnerable members of our population. Having said that, I am saddened that the attack on healthcare is already underway. It will feel good to march in DC on the 20th. Bernie seems to be building up for another run, Bill. Will the Dems wise up and support him this time, I don't know. Thanks for reading. I'm not surprised, tell the truth. The American people are miserable and completely fed up with the establishment....why does it surprise anyone that a master marketing genius would win? All I know for sure is the next four years are going to be interesting. I just hope Bernie lives long enough to run again. History rarely teaches us anything, except that it doesn't teach us anything, Nate, or so the adage goes. I actually had a suspicion he would win simply by listening to the low buzz in the lunchroom. A lot of people were enthusiastic about him, but afraid to speak out. Rarely have I heard enthusiasm about a candidate like this, only indications that people were going to vote for him or her because they were Democrat or Republican. Anyhow, while there are parts of Trump's platform I am happy to see him carrying out already, even though he is only President-elect, people were happy about Hitler too at first because he was bringing back jobs. It should be an interesting four years, thanks for reading. I honestly didn't think he'd win. I've also speculated that he'd never be able to build that wall because opposition from agri-business itself would stop him; yet, I just read an article that the GOP is trying to figure out a way to get that wall built, even possibly sneaking it into a "must pass" bill. As you've said here, it's unwise to underestimate these kinds of leaders, certainly history has taught us that. Eric, my friend, you are still the head Vaquero of all the Intellectual Cowboys. You left me a lot of thoughts to chew on here, and a lot of quotes that you take off the top of your head but I have to steal off the Internet. I wish you a lovely rainy night in the Sprung Valley. How can any man have as tiny a foot as your king drawing. It is ludicrous. Perhaps in your limited private, just north of the border education you missed an important word. Antidisestablishmentarianism. If there was a POTUS that was not an A-hole we would be at least 7 different countries and I am leaving out the Inuit nation as they ceded to Russia and Japan pre-real US. And of course in my neck of the woods Navajo vs. Hopi and before that what were the Anasazi and Hohokam? Completely skipping over the difference between the Mexican and the Spanish -- and Catholic priest or Cowboy. Holy cow. Who planted the first seeds of corn or really learned how to ride a horse. Your notion of "populist" is very instructive. In about two hundred years it is still not really anything but a mud slinging campaign and I like that -- I love mud. Personally I call you coward for not naming Hitler and those damned French revolutionaries. As usual my friend you are a fantastic writer that causes thought processes to move and even wink. I promise you I will be back to read again of this excellent piece that is worthy of Plato's Republic. As a buddy of ours wrote "a fool sir is still a fool, the mere fact that you gather them by the multitudes only aggravates the situation". Love it and I will be back my intellectual slave driver.